Ever see those pro racers drift? Yes it’s difficult, and that applies to video drifting games too. Most games anyway but Skiddy Car from Kwalee is an exception. Here you get to drift without worrying with ease. While it’s easier than real life drifting, it isn’t monotonous and gives you plenty to do. The controls couldn’t be simpler. Tap to turn your car right, lift your finger to go left. That’s it, and watch as your car drifts all the way to the finish line. While it just involves pressing and lifting your finger, it may take some time getting used to since the track curves. You’ll probably crash quite a bit the first few times but keep playing and you should advance. The easy controls are matched by good gameplay. Like a good one tap game you tell yourself “just one more” and yet keep on playing. The graphics are basic but serve the game well thanks to the nice blend of colors. As you play and finish more tracks, new skins are unlocked. You should also grab all the coins you see to get more freebies. There are IAPs in the game and even a subscription service where you can unlock more cars and other features. But you can obtain these by constantly playing the game so there’s no need to pay up. 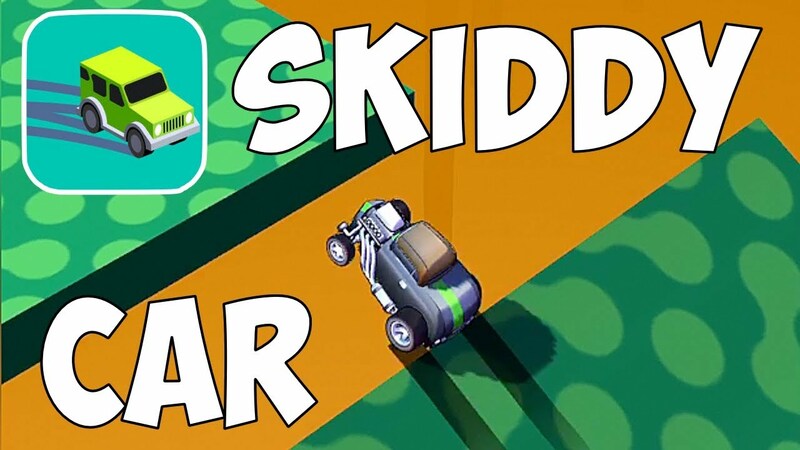 In a nutshell, Skiddy Car is a no frills but satisfying enough game. For would-be drifters who want it easy, this is it.